Republic of Ireland will play Switzerland in a friendly at the Aviva Stadium on 25 March next year. The sides last met in 2005 when a scoreless draw in Dublin denied the Republic a World Cup play-off spot. Switzerland, ranked 14th in the world and coached by Vladimir Petkovic, have qualified for the Euro 2016 finals. 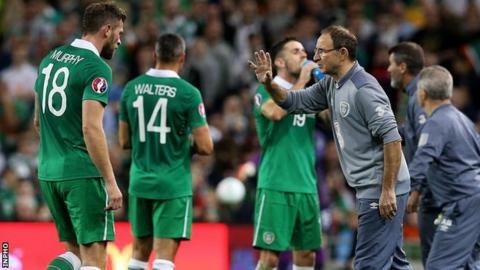 Martin O'Neill's team will aim to join them in France when they take on Bosnia-Herzegovina in a two-legged play-off next month. The Republic will play the first leg away on 13 November, with the return tie three days later.